Epilepsy has a huge effect on people's lives; it can prevent them from driving, working or even sleeping. The added stress can also have a detrimental effect on your mental health. That’s why we work hard to create a working environment where people feel supported and able to talk about their condition. 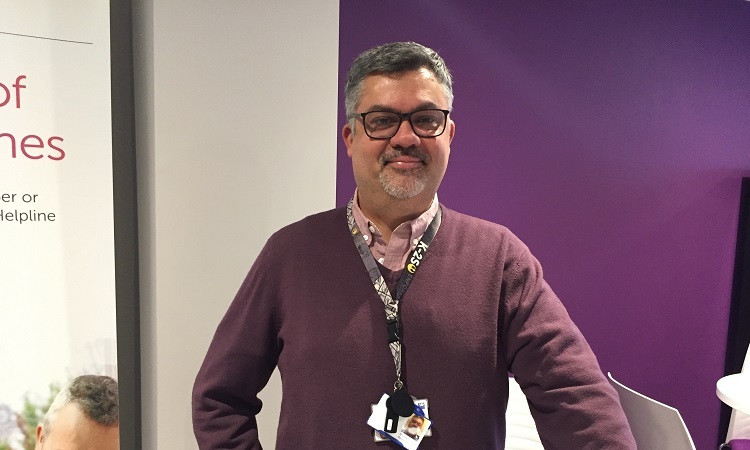 For International Epilepsy Day, we spoke to Development & Engagement Consultant for Health Services (part of AXA UK), Peter Delves, who was diagnosed with epilepsy when he was 21. He's been making a real difference in creating an open culture and ensuring that people with issues have the support they need. For Peter, it was a long journey to come to terms with his epilepsy. “I found out when I was 21. It started happening at the end of college. I went to see the GP and went through tests and scans. But once you've been diagnosed, you need to find the right medication. If you’re on the wrong dose, either too much or not enough, it can also lead to seizures. It’s about finding that balance. For me, that took 9 years. Peter’s has helped him to start a conversation and create an environment where people can share. It can be frightening if a friend or colleague of yours has a seizure. For many it's a new experience, so Peter has some advice for if you find yourself in that situation. Let them recover on their own - “It might even look like they’re going into shock and you feel tempted to help, but a typical seizure lasts only about 10 - 15 seconds before they start to come round. They have to come round properly on their own. It's important to us that everybody working at AXA feels supported with their health and wellbeing. A huge part of this is being able to talk about their condition with colleagues. If you share our values, consider viewing our careers page to see if we have the right vacancy for you.